A small town located on the Konkan coast, which is named after the elephant-headed Hindu god, is Ganapatipule. According to local legends, the Lord is said to have moved to Pule from his original home in Gule after coming across an offensive remark made by a local lady; thus, the place was named as Ganapatipule. The place is a confluence of a sea and a river, which can be seen from the top of a hill, and takes the form of Lord Ganapati. 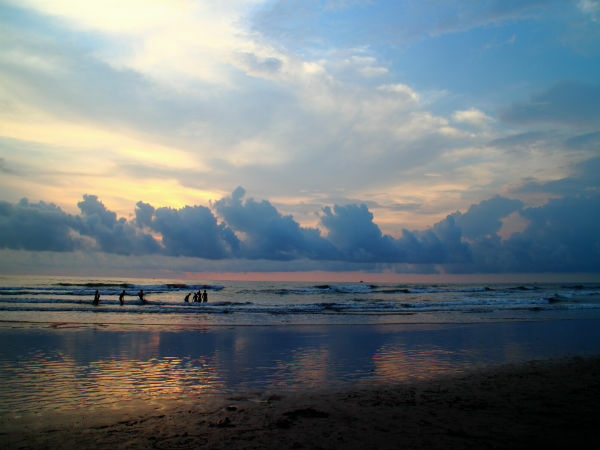 With its beautiful beaches and the self-manifested idol of Ganapati, this place attracts tourists from far and near. The place can be visited anytime throughout the year, Ganapatipule experiences a tropical climate. The best time, however, to visit the place would be during the months starting from November to February and during the Ganesh Chaturthi festival. By Air: The nearest major airport to the town is the Chhatrapati Shivaji International Airport in Mumbai which is located at a distance of approximately 350 km from here. The airport is well connected to all major cities across the country and to a number of them abroad. 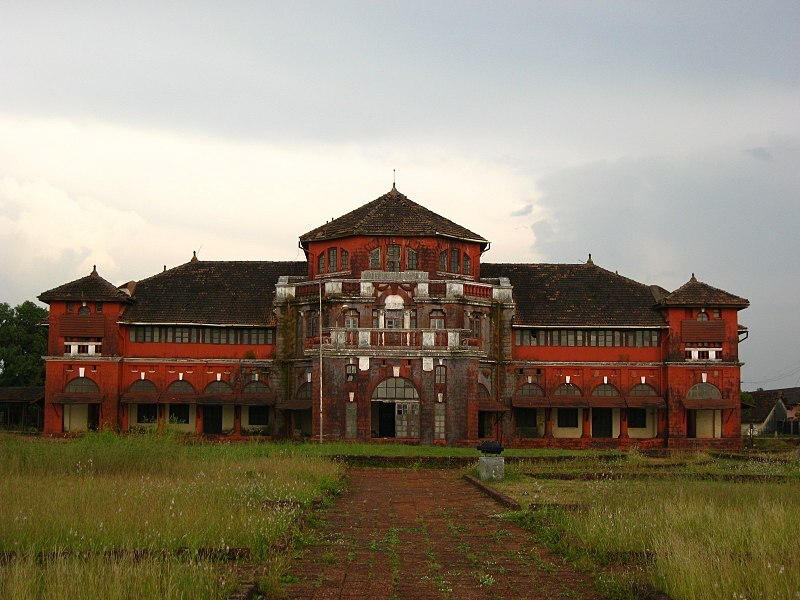 By Train: The nearest Railway station is Ratnagiri, which is located at a distance of 30 km from here. The station is well connected to all major towns and cities across the state of Maharashtra and to a few outside the state as well. By Road: One of the best ways to reach Ganapatipule is by road, the beach town is well connected by roads and offers excellent connectivity by road transport. The total driving distance from here to Mumbai is around 343 km. Those who would opt for the first route, it would take you around 7 h to cover the total distance of 343 km from Mumbai to Ganapatipule.If you opt for the second route it would take you approximately around 8.5 h to cover a total distance of 469 km to reach Ganapatipule. The town of Chiplun is known for its white sand beaches, mango and cashew groves which grow by the beautiful river of Vashishti. Chiplun translates to the abode of Parashurama. The town is one of the major industrial hubs apart from being a tourist hub. 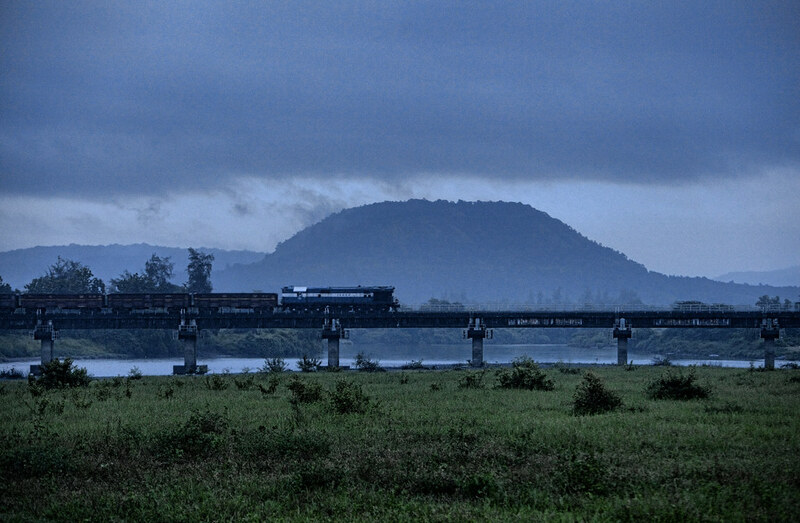 The place is also a major stop on the Konkan railway route for trains which begin from Mumbai and head towards Goa. 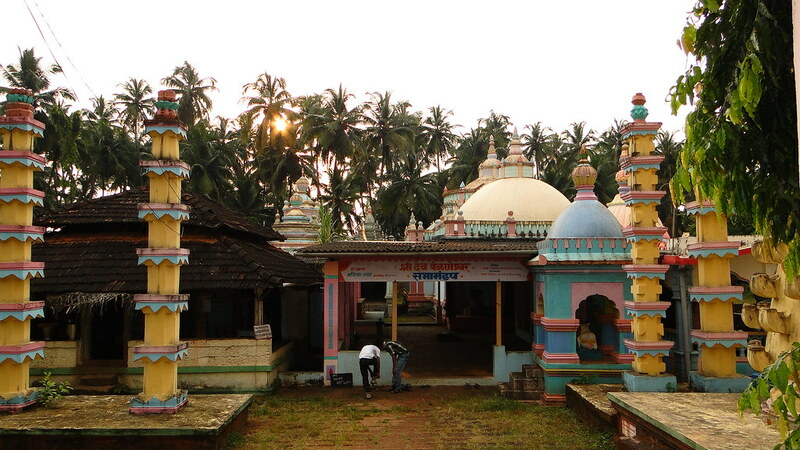 The Parashurama Temple here is considered to be about 300 odd years old and exhibits a perfect mixture of the Hindu and Muslim styles of architecture. Located close to the temple is the beautiful cascading waterfall of Sawatsada which flows in its full splendor during the monsoon seasons and resembles a huge vessel of milk being overturned. Ganapatipule is well known for two major sights, one is the beach and the other is the Ganapati Temple. The Swayambhu Ganapati Temple is believed to be around 400 odd years old and one can find two idols of the Lord here. One is made out of white sand and the other from bronze. The bronze idol depicts Ganapati riding on a lion. The temple has a hill in its background which takes the shape of Ganesha and devotees consider circumambulating the hilllock as a holy act. The temple is located within the limits of the city and finding it is not a difficult task. A notable uniqueness of the temple is that it faces the west instead of the east. The next major attraction here is the Ganpatipule Beach, on whose shores the shrine of Ganapati is located. The beach is a perfect place for one to relax along with the sounds of the temple bells and the sound of waves hitting the ground. The beach has white sands which attract a large number of visitors who come here not only for rejuvenating their body but also their mind and soul. About 14 km from here is the Jaigad Fort which is said to have been built in the 16th century by the Bijapur Kings and later passed on to the hands of the Portuguese and finally into the hands of the British. The fort is located on a cliff and overlooks the Arabian Sea. At a distance of about 2.4 km, is a tiny hamlet of Malgund which is the hometown of the well-known Marathi poet Kavi Keshavsoot. His home is now converted into a student hostel which is open for visitors, one can also find a memorial built in honour of the poet here. Located at a distance of 19 km from the city centre is the Jaigad Lighthouse which was built by the British in the year 1932. The structure is completely made out of cast iron and provides a brilliant view of the Arabian Sea and its surroundings. At about 40 km from here is yet another beach town of Velneshwar which is well known for its clear beaches and a shrine of Lord Shiva. The beach is crescent shaped which adds to its appeal. 25 km away from Ganapatipule is the Thibaw Palace, which was built for the King Thibaw of Myanmar while he was in exile. The palace was built by the British in the year 1910 and served the King until his death in the year 1916. 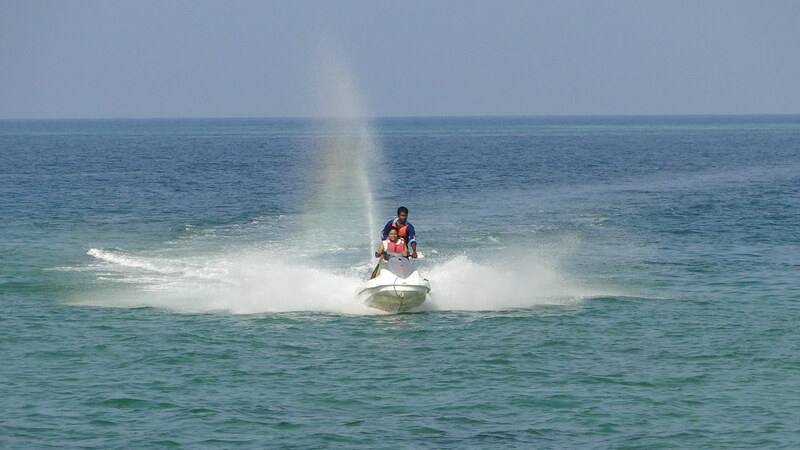 The beaches of Ganapatipule also offer a wide range of water sports from November to May. One can enjoy rides on water scooters, motor boats, row boats and much more.